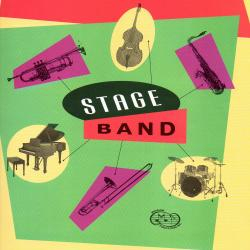 Combine standard stage band instrumentation (5,4,4,5), great tunes and even better arrangers and you've got the stage band series. Whether you are looking for things for a concert or a gig, they don't come any better than these. Arranged by Bill Holcombe; Grade 4; Includes: Jingle Bells; Deck the Halls; We Wish You A Merry Christmas.